Skechers USA, Inc, a global leader in the footwear industry, has announced that the company has purchased the minority share of its joint venture in India, transitioning the business to a new wholly-owned subsidiary of Skechers USA, Inc. The Company believes that combining the experienced team and Skechers’ proven sales and marketing capabilities will allow it to grow the brand and its presence in a faster, more efficient manner, ultimately meeting its fullest potential. 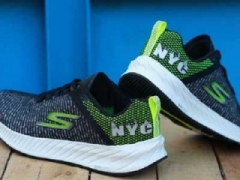 Michael Greenberg, President of Skechers, said, "Skechers is still a relatively young brand in this country, having been in India for less than a decade, yet in the last five years, we have seen significant growth through our joint venture. These accomplishments, as well as opportunities we see to increase the brand’s exposure and drive sales, give us great optimism and confidence for the growth of Skechers in India." Rahul Vira, CEO, Skechers South Asia Pvt Ltd, stated, "Skechers in India has achieved great success over the past few years. As we look into the future, we are delighted to be a wholly-owned subsidiary of Skechers. This development will enable us to amplify our growth plans, accelerate the expansion of our operations and build a stronger network to further gain market share in India." David Weinberg, Chief Operating Officer of Skechers, added, "Few markets match the potential for growth of India, which is why we entered the market initially, and why we recently decided to purchase the minority stake in our joint venture. We believe the strength of our diverse product and our marketing insight will help expand our product offering in India. As a subsidiary, we will be able to leverage our capital, product, logistics and business model to better maximize our brand exposure to the 1.3 billion consumers in this country."